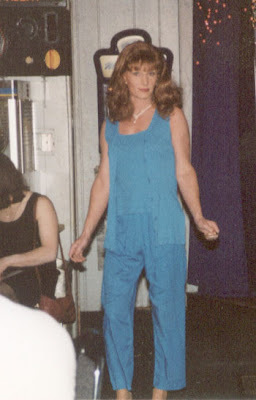 What a super shot of Miss Lori in her full sky blue ensemble. It takes a bit of fashion know how to pull off this look and she does it so wonderfully. It totally compliments her hair color and skin tone and makes her loveliness just pop out.